10 sheets each hold 20 2"x2" cardboard coin holders per sheet. 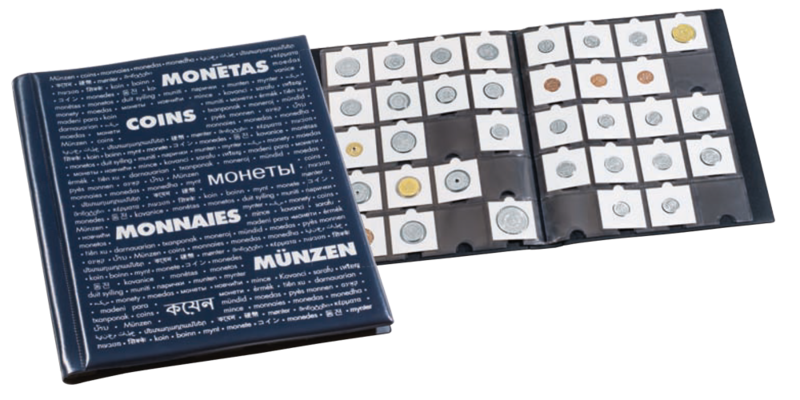 The alternative to individual coin pages: soft cover album with 10 sturdy, inbound sheets for 20 2x2" cardboard coin holders per sheet. Capacity: up to 200 coin holders. Dark blue padded cover with silver embossing. 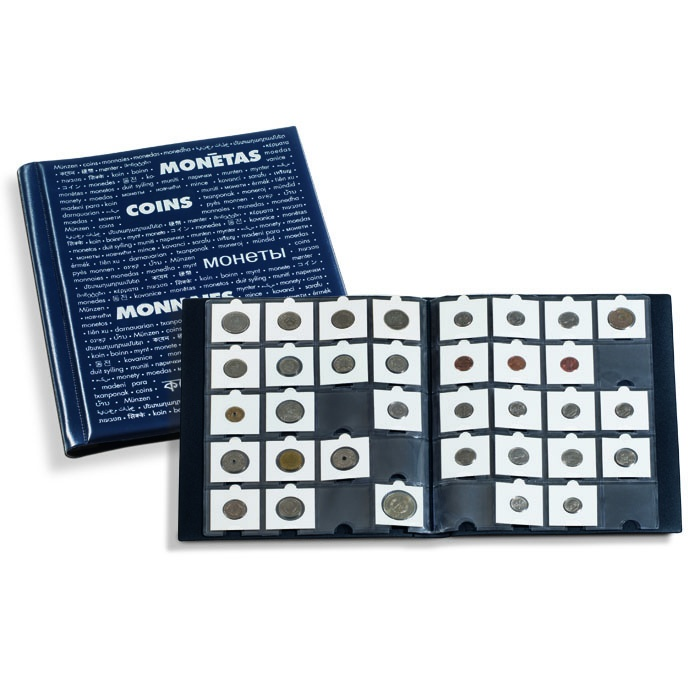 Features 10 sturdy, integrated sheets for 20 coin holders per sheet. Padded cover with silver-coloured embossing. Overall size: 245 x 307 x 40 mm (95⁄8 x 121⁄8 x 15⁄8").